Nigerian Actress, Funke Akindele- Bello, popularly known as "Jenifa" has been listed as a member of the cast of the upcoming mobie - Avenger - The Infinity War. 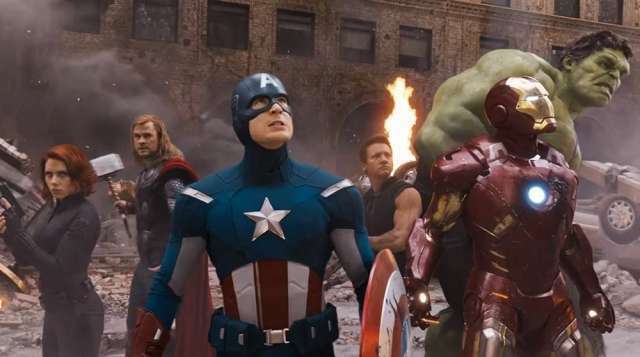 The Avengers franchise is based around Marvel Superhero Avenger team. The Avengers - the Infinity War is a sequel to The Avengers, and Avengers: Age of Ultrasound. According to IMDb, a trusted source for movies, Funke Akindele will feature as a Dora Milaje Member of the Black Panthers Guild. The Dora Milaje are powerful women recruited from every Tribe in the fictional Wakanda, who serves as personal bodyguard to the Black Panther. The Actress is yet to comment on the news. She will feature alongside top Nollywood names like Don Cheadle, Chris Pratt and Scarlett Johansson. We at Frontpager cant wait to watch the movie. She would be the first Nigerian-born Actor to feature in a major Hollywood Superhero movie. We at Frontpager cant wait to watch the movie.